6 might get its first bout of precipitation. The night before this stage, we found out that road construction was happening beside Kimberley’s Platzl area where the ST6 start and finish was to be located. At the top of the most arduous climb leading into the Duck Pond Trail, bones from an unlucky ungulate lent a forewarning tone after the relentless grind. Kimberley Nature Park is one of the largest municipal parks in Canada with more than 2,000 acres. 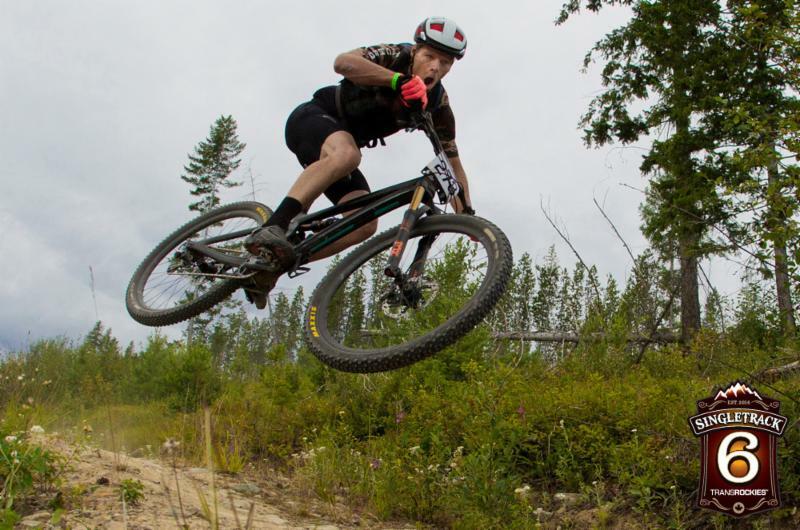 We want to thank Kimberley Nature Park Society whole-heartedly for their hard work for their part in tending to the trails that have helped Kimberley grow into a renowned mountain bike destination! In terms of this stage’s field of racers, there was general stability across the Solo Open Women’s with Sonya Looney holding onto her top position and Kate Aardal remaining in second. Third seat changed up however with Marlee Dixon moving in. The men’s field went through more significant shifts, growing increasingly unpredictable. But exciting! Quebec’s Mathieu Belanger-Barrette (Pivot) knocked Austrian Manuel Weissenbacher off of the podium and kept Andreas Hartmann off the top spot. And then an epic battle for third stole the show with a tie between Patrick Chartrand and Marc-Andre Daigle! Now off we go to Golden for the final stretch! Thanks for reading and let’s see what Stages 5 & 6 have in store because Golden’s trails will bring big changes.